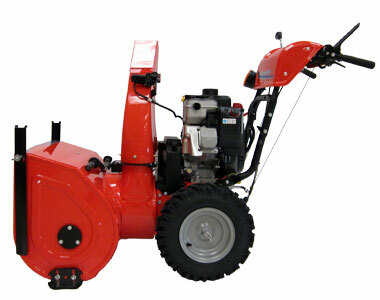 The Simplicity LI1528E is part of the large-frame family of Simplicity snow throwers. 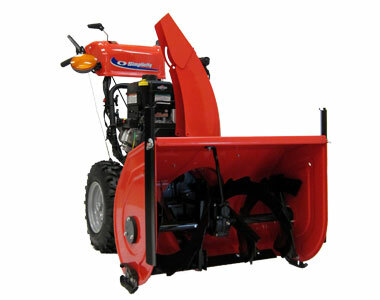 This snow blower features easy-turn capability, which uses a trigger to control power to slow one wheel at a time to make turning and maneuvering. 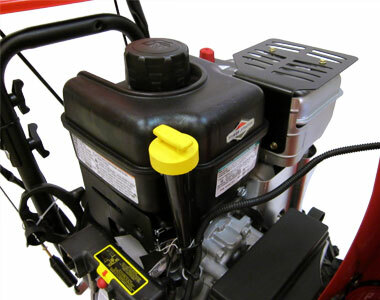 Adding to the convenience is free hand control, which allows you to drive the equipment with one hand while using the other to do a multitude of things such as rotating the chute, changing speed and adjusting the deflector. 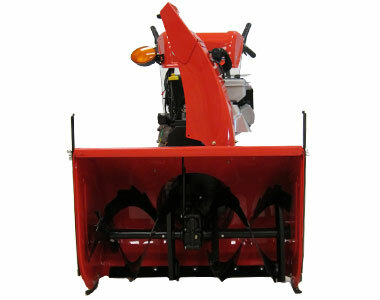 All of these convenient features make for a much more enjoyable experience during the time you spending clearing snow. 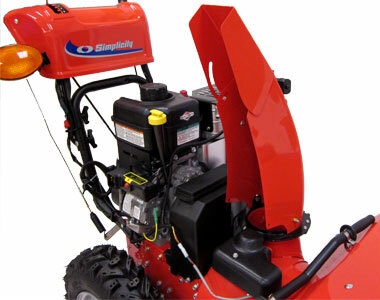 The Professional Series engine by Briggs & Stratton provide 14 ft.-lbs of torque to bust through snow clearing a 28” path with every pass! 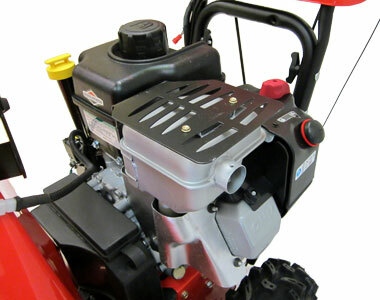 Engine: 305cc Briggs and Stratton engine. 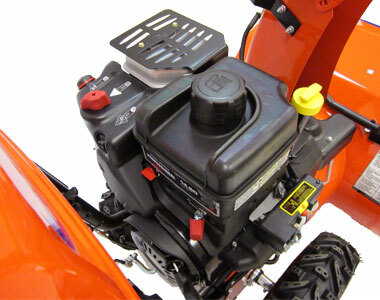 Easy-Turn: Trigger controlled power slows one wheel, making turning and maneuving much more manageable. 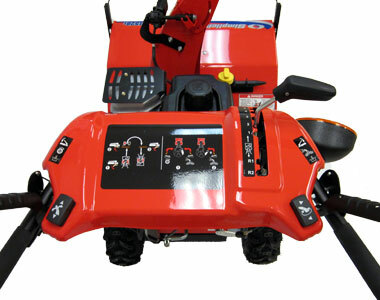 Free Hand Control: Drive this machine with one hand, while using the other to rotate the chute, change speeds, or adjust the deflector. 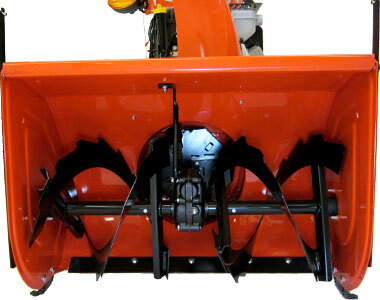 Clearing Width: A substantial 28 inch clearing width. 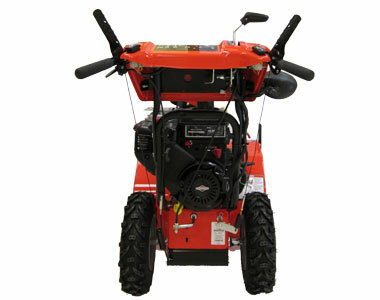 Auger: 14 inch augers and a 12 inch impeller throw up to 40 feet. 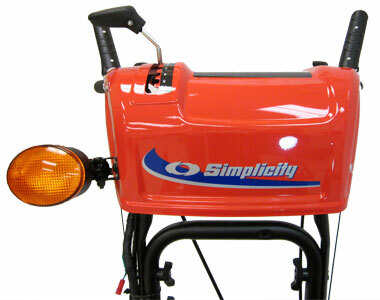 Headlight: Equipped with a halogen headlight. 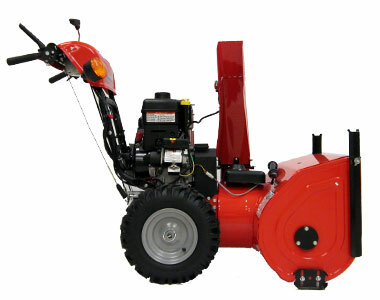 Ask us about the Simplicity L1528E 28 inch 305cc Two Stage Snow Blower. Please no repair questions. 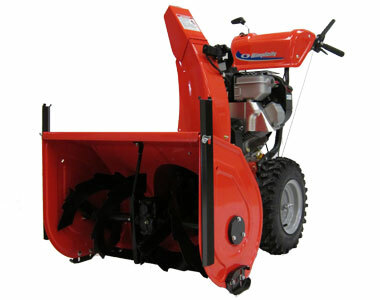 Your Q&A may be posted to SnowblowersAtJacks.com to help other shoppers, like you, with their purchasing decisions. Thank you.